These gorgeous tropical-looking plants, despite the tender appearance, are as tough as old boots once established. Forming evergreen shrubs with gorgeously glossy, deep green palmate leaves, they'll add an exotic touch to any garden. 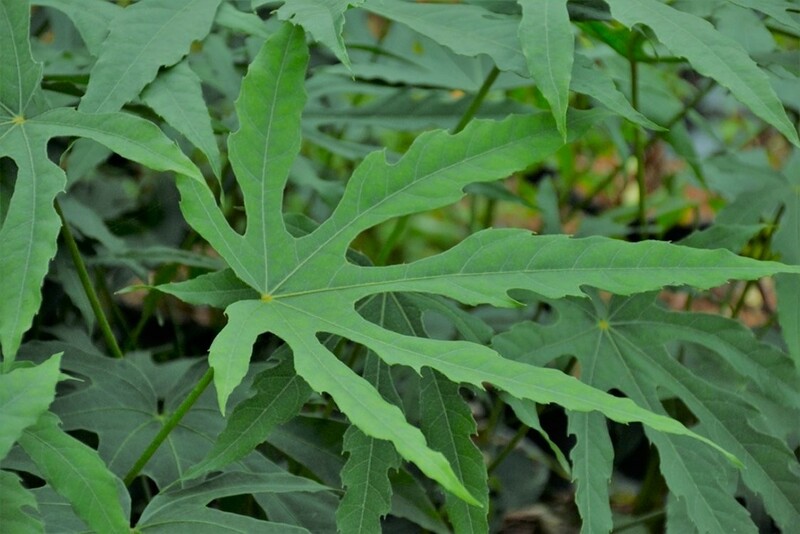 This is a newly introduced form from Taiwan, forming a handsome evergreen, it is a rare find here in the UK and produces large palmate leaves with fine 'fingers', providing a real tropical feeling with a lighter, airier feel than traditional Fatsia varieties. Ideal for jungle-themed gardening, patio plants or even just to add evergreen structure to shrub borders, it can even be grown indoors as a house plant! 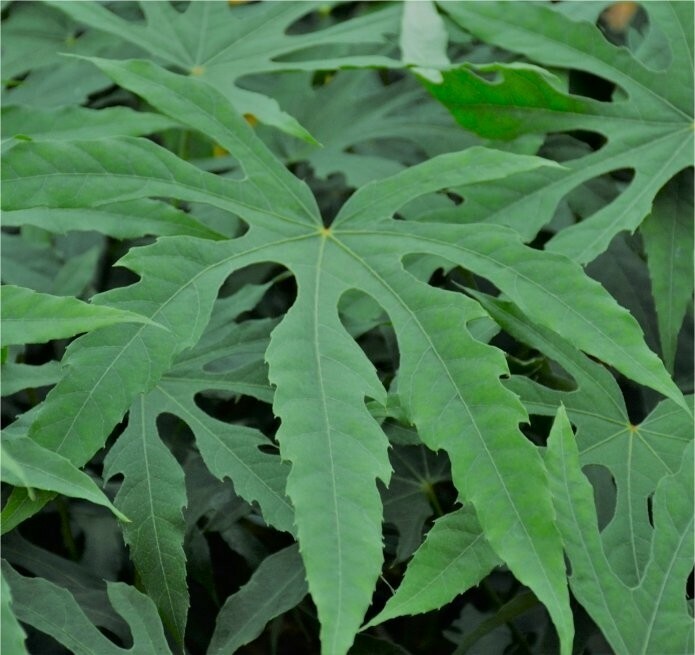 This Fatsia will make a superb feature in any garden and combines really well with bamboos and grasses where the large leaves create a stunning contrasting texture. Supplied in approx 2-3 litre containers.